Edison Research is a company that conducts market research and exit polling. They provide strategic information for businesses and media organizations throughout the world. Besides providing exit poll information to the top six news organizations, Edison is a leader in researching new trends and consumer behavior. The Federal Communications Commission selected Edison to conduct a national study about localism in radio. They also conduct yearly studies with Arbitron about the role of the Internet in today’s media world. They have more than 10,000 experienced interviewers that conduct research all over the world. 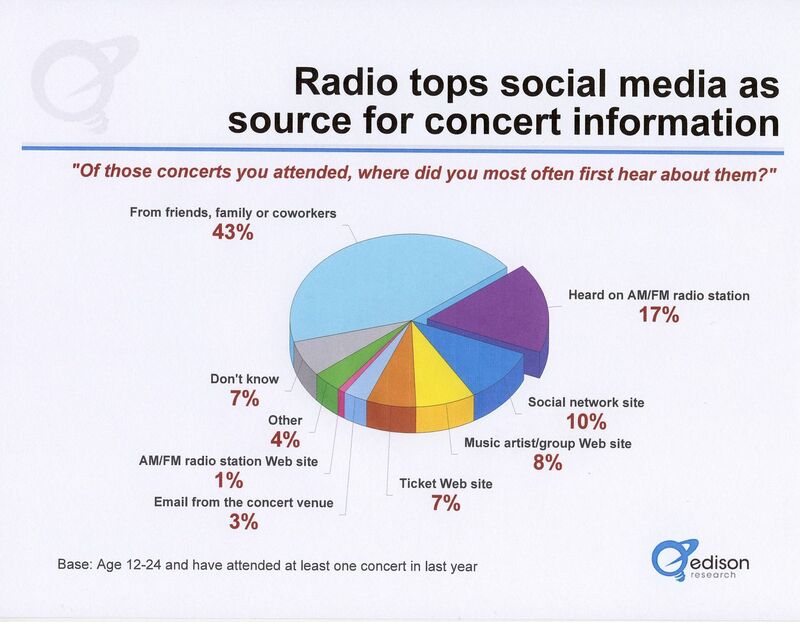 The study revealed interesting information about the radio, social networking, CD purchasing and concerts. Because of the up-coming concert tour that Clay Aiken will be presenting in February and March, I thought I would report on some of the findings regarding music tours. According to the Edison Research survey, 12 to 24 year olds are going to just 0.9 concerts per year on average, down from 2.1 in 2000. That represents a 57.1 percent drop. This downturn seems to be affecting all types of fans, from those who attend many concerts to those who only attend occasionally. “Yes, the economy affects ticket-buying, just like it affects the consumption of so many other consumer goods. But this recession has revealed the fact that we’ve got too few desirable acts charging too much for tickets. Concerts are not like movies, something you go to on a whim, but vacations, which you plan for and experience once a year. Bob suggests that everyone is still trying to get rich from the music business. He feels that many musicians overcharge for tickets and go on the road too often. He feels they are trying to make up for the lack of money in recorded music and so they are “burning out the market.” According to Bob, the audience is saying no more, especially at the inflated prices that are being charged. Bob suggests that you will sell more tour tickets if you create music that people need. It is not good enough to be a momentary hit. He suggests that musicians need to touch souls and speak from the gut! So, there are two different ways to look at the poll results. Edison Research reads the numbers and blames the economy. Bob Lefsetz blames the greedy concert world, including ticketmaster, venues, musicians and handlers. What do you think? The Edison Research has a great deal of information about traditional radio listening. The data from Edison shows huge dips in terrestrial radio listening. However, the radio still plays a large role in the discovery of new artists, new music, and upcoming concerts. If you are interested in more information on the Edison Music Study, you can read the entire report at EdisonResearch. It is certainly full of eye-opening information. And, if you want to read more from Bob Lefsetz, you can visit his BLOG. The economy is affecting the way entertainment is brought to fans. Some of the concert tickets are very high and some tour too often. I will be going to a Clay Aiken concert in 2011 but he doesn't tour too much for his fans. Interesting stuff!! I love live music, but it's not something I can afford to do very often due to the price of tickets. I also want a show that highlights the entertainer's talent, not a cabaret show that is more about the staging than the music (except maybe Marilyn Manson, who incorporates staging with the music, making it more of a story) . I don't need shock for the sake of shock. I want an entertainer who actually connects with the audience and brings MORE than just what's on the current CD. WOW…..lots of information. Thank you for putting this article together. I think that the economy does influence the amount of concerts a person can attend, but I also feel that if it is someone you really want to see, a person will get there somehow. Too many concerts forget that it is the music that is important, not the "show". Give me a good musician on the stage, singing beautiful music. I don't want smoke and whistles. Thanks for another wonderful blog. You must have spent some time on this article. You keep us informed!! Musicfan, thanks so much for bringing us this very informative article. It helps to explain why Clay's venues are necessarily smaller despite the wonderful entertainment and music he provides. Thanks for such detailed and informative information. Very interesting blog. I love going to concerts of my favorites; Clay Aiken and a few others when they are in my area. I cannot afford to travel long distances when it includes hotel and airfare expenses but if the concerts are within driving distance there is no better entertainment. Very interesting article, and great information. Thanks for the research. Another informative and insightful blog! Thank you. Yes, the economy has hit everywhere. It is good that Clay Aiken can keep his cost down and in turn – he can keep touring. Smart man. Thanks CANN for another informative blog. The economy is bad, but I still scraped up some Dollars for the Tried and True concert in Mesa Az. Thank you for a very informative blog. In the current economy, I am grateful that Clay Aiken can still tour and "touch our souls" with his music. Great blog! Very informative! Thank you for all the research you do for your blogs! What an interesting article! Thanks for posting it. I know Clay is the only singer I would pay to see in today's economy. He "touches my soul" like no one else can. In the past I have seen and enjoyed other acts, but today I have to limit my concerts so Clay is the one for me. A very interesting article—Clay Aiken has always touched my soul and I wouldn't miss a concert! There are other things I'd go without before I'd miss seeing him live. His ticket prices are reasonable and I always feel that I get more than my money's worth. 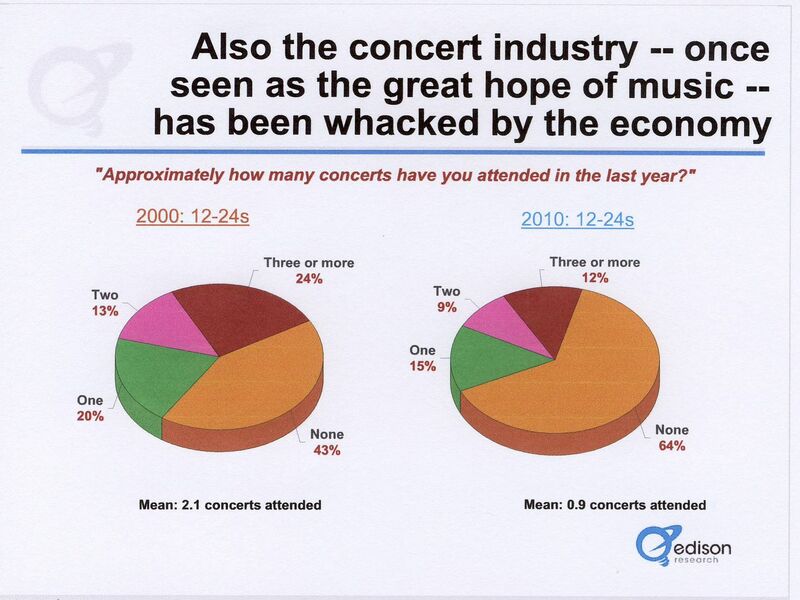 Yes, I do believe that the economy is keeping many people from going to concerts. Also, the high prices they have for some of their artists. I can usually only afford to go when Clay is in my area. No way, could I afford the transportation and staying at a hotel. Clay is the only artist I will go to see in Concert. He is that good…plus he touches my soul. Always did. Can't wait to go to Orlando on Feb. 11. Thanks for this very informative article. Some artists do charge too much for their tickets. Most don't sell out because of it. I always felt it would make more sense to lower the ticket price a bit and sell out. They'd make the same money and have a full house. Error: Error validating access token: Session has expired on Tuesday, 21-Aug-18 16:13:01 PDT. The current time is Monday, 22-Apr-19 08:11:27 PDT.